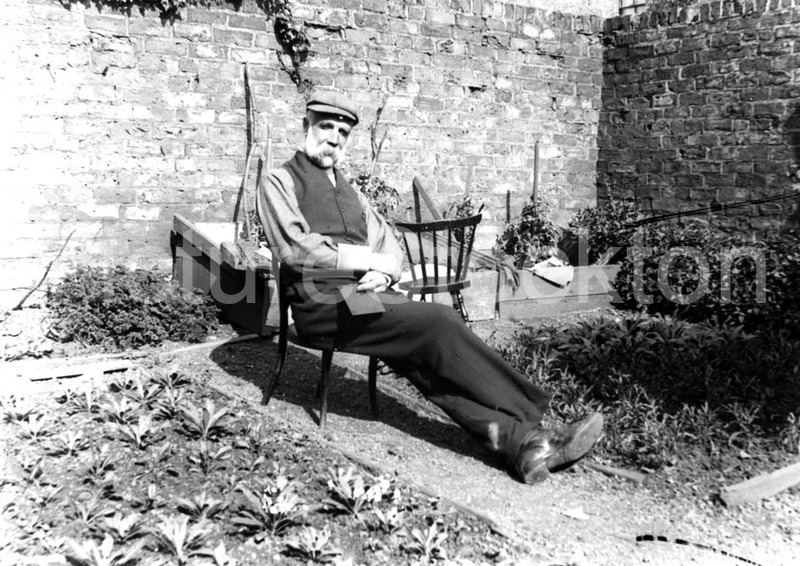 A photograph of Michael Heavisides relaxing in his garden. In 1870 Michael took over the Heavisides and Son printing business in Finkle Street, Stockton from his father. Michael Heavisides was one of the first social photographers in the Stockton area. Photograph from the Heavisides Collection.